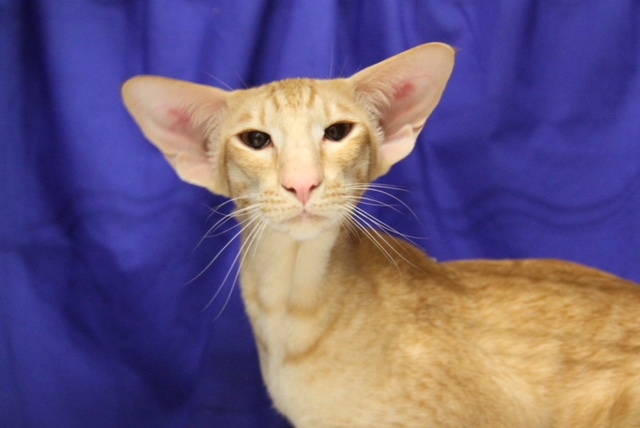 The Oriental Cat Association (OCA) is a special interest club affiliated to the Governing Council of the Cat Fancy to promote the breeding and showing of Oriental cats. The Club was formed in 1971 and was affiliated to the GCCF in 1975. The Club has approximately 100 members from all over the UK, and a number of overseas members. A Committee of 10 is elected annually by the members to represent the club at shows and provide a contact point for current and new members. Our constitution was revised at the AGM in April 2017. Irene Rothwell represents the club at the GCCF meetings, and Carol Ward, and Caroline Turner-Russell at the Oriental Joint Breed Advisory Committee. Langford Veterinary services are offering a 20% discount for any OCA member who might need to carry out a genetic screening test. Genetic Price List. The OCA has registered for this discount not because there is a major outbreak of any kind of disease amongst the Orientals, but because it provides an additional service to our members who may need it. Please contact Irene Rothwell directly to obtain the code needed – your request will be treated in the strictest confidence. Take a look at the CattyLicious.com website which is a wonderful resource all about cats, kittens and cat ownership. Useful to cat breeders and cat owners they even have a shop that sells cat related products.